The pact establishes a new framework for bilateral relations, based on “shared responsibility and mutual respect” for each nation’s sovereignty and integrity, and provides joint mechanisms for conflict resolution. It calls for close cooperation especially in the areas of counter-narcotics, development assistance, and trade, and anticipates the mutual return of ambassadors as soon as possible. “For the first time since the foundation of Bolivia,” says President Evo Morales, “the U.S. will respect Bolivian laws and its Constitution.” According to Vice President Alvaro Garcia Linera, the agreement’s collaborative model is unique in Latin America. 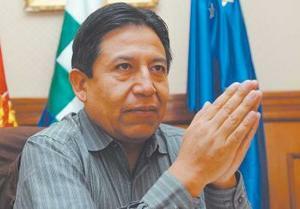 In September 2008, Morales expelled U.S. Ambassador Philip Goldberg, followed by the Drug Enforcement Agency (DEA), for allegedly assisting efforts to destabilize his government. 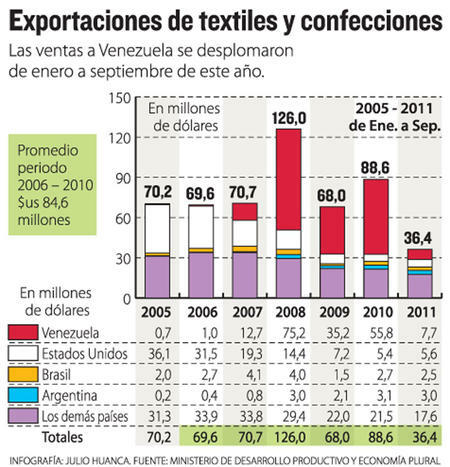 The United States retaliated by ousting the Bolivian ambassador and decertifying Bolivia from continued participation in the Andean Trade Promotion and Drug Eradication Act (ATPDEA), which, since 1991, had allowed Bolivia to export textiles and other products duty-free to U.S. markets. Since then, Bolivia has frequently accused the United States of political interference, most recently in connection with the TIPNIS conflict. The United States has continued to criticize Bolivia for its allegedly lax counter-narcotics efforts—even though the UN found that illegal coca cultivation grew by only 3% last year. The new agreement, negotiated for Bolivia by Foreign Minister David Choquehuanca, offers both principles and mechanisms to resolve such conflicts. With respect to drug enforcement, said Choquehuanca in a recent interview with La Razón, the two countries will share responsibility for combating, preventing, and reducing the production, trafficking, and consumption of illegal drugs. This is the first time that U.S. drug consumption will be on the table for consideration. According to Choquehuanca, the agreement reaffirms Bolivia’s commitment to voluntarily eradicate excess coca, through social control mechanisms enforced by the cocalero union federations. Activities in support of this policy will be developed and coordinated bilaterally, with Brazil expected to play a key role. A new pact with Brazil and the United States, U.S. aid diminishes. Credit: Página Siete.for a high-tech pilot program involving satellites and drones, is anticipated momentarily. Although not directly specified in the agreement, Morales is adamant that the DEA—which beat him unconscious in his days as a cocalero leader, and which remains a symbol of brutal U.S. repression from the 1990s War on Drugs—will not return to Bolivia. Since a joint commission must approve all new activities, this seems a foregone conclusion. With respect to development aid (for health, environmental, and other local projects), Choquehuanca says that the two governments will jointly define the jurisdictions and agencies to receive assistance, in accordance with Bolivia’s development plan. In the past, the unilateral allocation of U.S. funds to NGOs, municipalities, departments, and civic organizations, with no control or even knowledge by the Bolivian government, has been a significant source of tension. While existing programs, including those funded by the much-criticized USAID, will not be terminated, full transparency will be provided and any project can be brought before a joint committee for review. Within this framework, Choquehuanca emphasizes, the Bolivian government welcomes additional U.S. financial assistance for both anti-drug and development activities. Since Morales took office, total U.S. aid to Bolivia has declined markedly—from $122 million in 2007 to $42 million in 2011 (see graph)—for a combination of political and financial reasons. The projected budget for 2012 is only $33 million, of which two-thirds is for activities other than drug enforcement. Funding for these activities has been cut by 60% since 2007. While the document is silent on the restoration of ATPDEA tariff protections, the prospect of a new bilateral trade relationship has raised expectations and sparked some controversy within Bolivia. The government maintains that the restoration of trade preferences is not a major goal. According to Minister of the Economy Luis Arce, Bolivia is now exporting more than ever to the U.S.—double the value of such exports achieved in 2005, and the highest rate of increase in Latin America—despite the loss of tariff protections in 2008. But critics note that this increase is based largely on the export of raw materials, primarily tin, silver, and crude oil. In contrast, manufacturing sectors like textiles, which create value-added products and significantly more (and better) jobs, have been hard hit by the elimination of trade preferences. According to some estimates, up to 9,000 jobs have been lost, while the government has been forced to double its subsidies to manufacturing exports (from $8 million to $16 million) to cover U.S. tariffs, averaging 18%-20%. For a time, increased textile exports to Venezuela more than made up for losses in the U.S. market, but this Ametex textile workers. Credit: Los Tiempos.opportunity has fallen off sharply in the past year due to Venezuela’s own economic troubles (see graph). Last week, hundreds of textile workers employed by Ametex, Bolivia’s largest textile company, paralyzed downtown La Paz for several days, demanding that the government work to restore tariff protections within the framework of the new bilateral agreement. The company said it would be forced to slash its 2,800 person workforce by 50% due to losses suffered from the decline in exports. The government arranged a $2 million line of credit from the Bank of ALBA—a practical solution unlikely to be replicable by the majority of Bolivian textile firms, which are small and/or family-based. Declining textile exports. 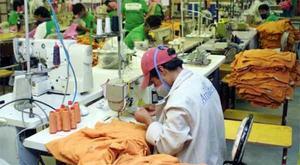 Credit: La Razón.While a return to ATPDEA, with its requirement for annual certification of compliance with coca eradication targets, does not seem feasible or desirable, Choquehuanca insists that Bolivia won’t sign a free trade agreement with the United States to protect manufacturing at the expense of other sectors. Instead, the government will seek to negotiate a new agreement that recognizes the developmental asymmetries between the two countries, based on principles of complementarity rather than competitiveness. Whether these aspirations can be realized remains to be seen. In the meantime, the framework agreement provides a powerful symbol of enforced equality between a weak and a powerful nation. Even Morales’s critics agree that his administration has achieved a more dignified and autonomous position relative to the U.S. than have any prior Bolivian governments.